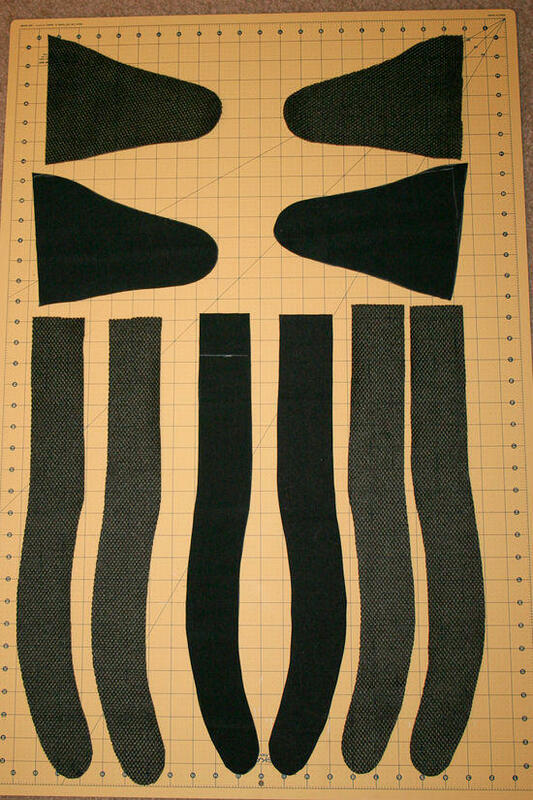 I just wanted to post the steps that I take to make shoulder straps for my backpacks. 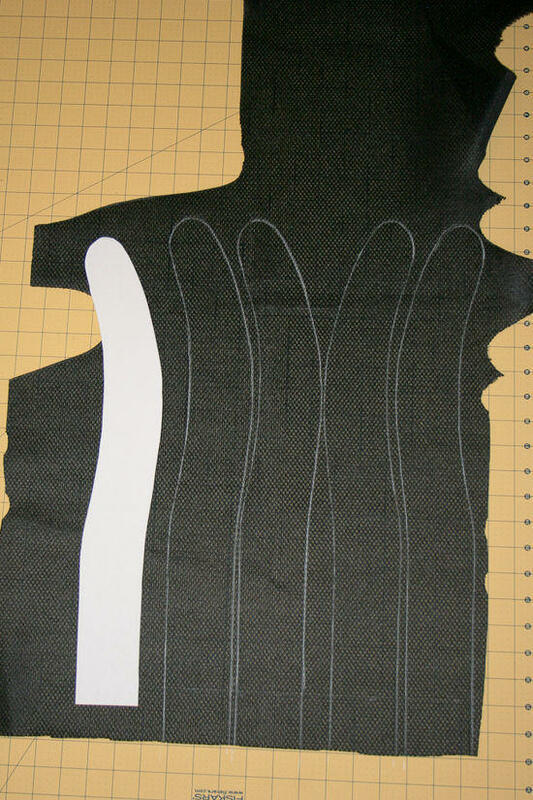 The first thing I do is mark out the pieces I need to cut on the back of the fabric. I cut a template out of mat board to make this task easier. 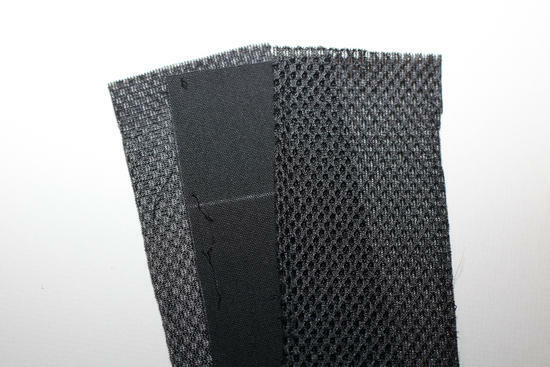 You will need to cut 4 straps out of the foam mesh, 2 facing to the left and 2 facing to the right. 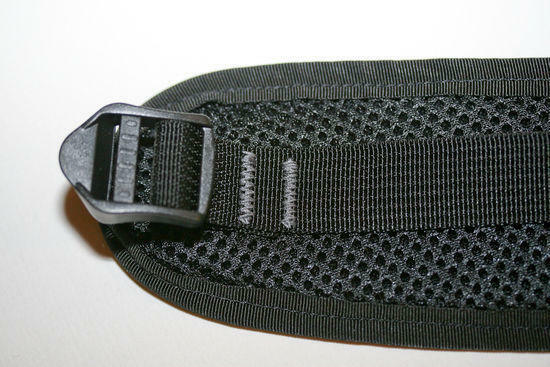 I also cut out a left and right strap from the cordura. 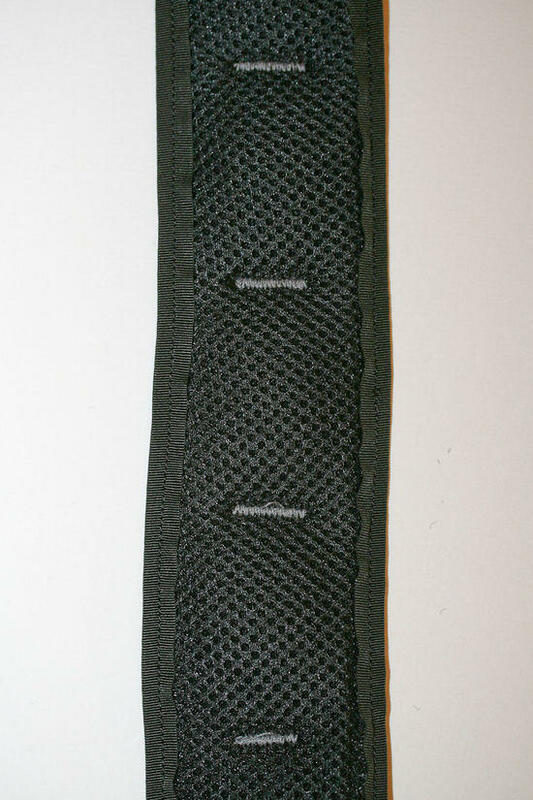 I use the cordura to give the straps some extra strength, you could by all means leave the cordura out. 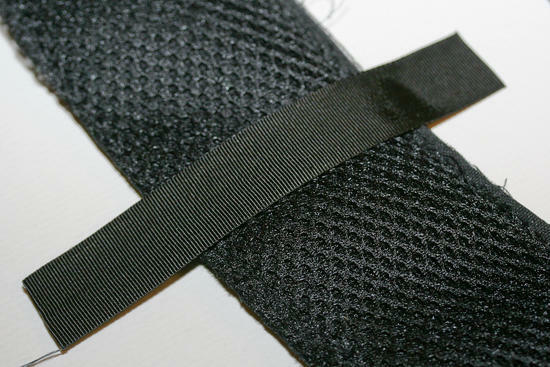 I then add a strip of either grosgrain to webbing about 9" up from the bottom curve of the strap. This works good if you use a water bladder to keep your tube in place. Next I attach the grosgrain trim. I first measure out how much I will need and cut the proper amount. I then fold the grosgrain in half and put a crease down the middle the length of the strip. 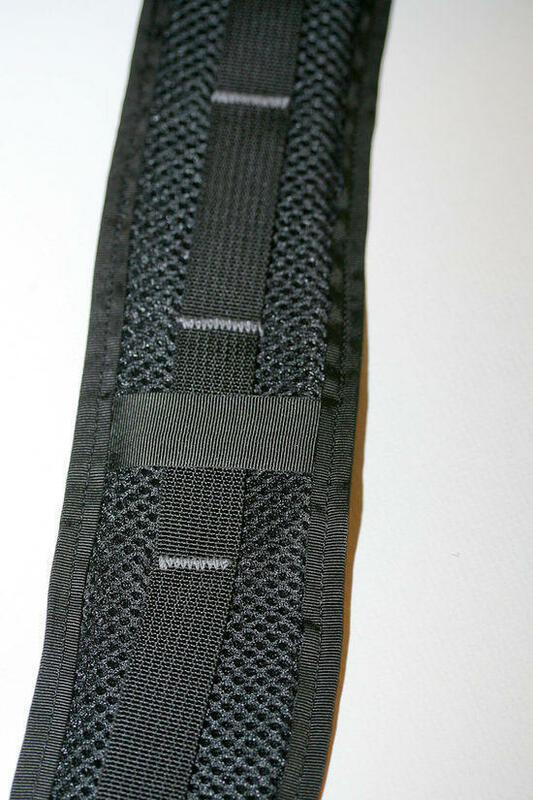 This makes it much easier to make sure you have the edge of the strap in the middle of the grosgrain. 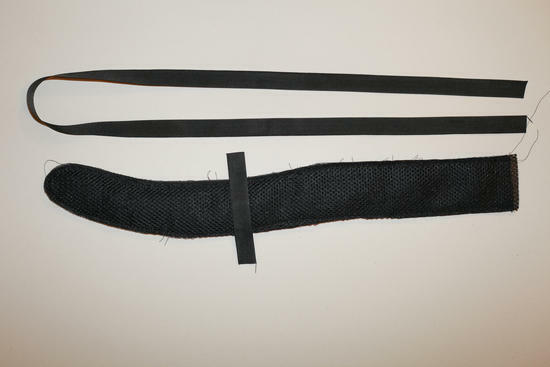 I then start on one end and sew the grosgrain on the whole way around the strap. The curve of the strap can be tricky so take your time. I then continue to bar tack the whole way up the strap to the top. I leave about 6" between the ladderloc and the first bar tack to attach a chest strap. I then continue to add bar tacks every 2.5" to the top of the strap. And that is pretty much it. 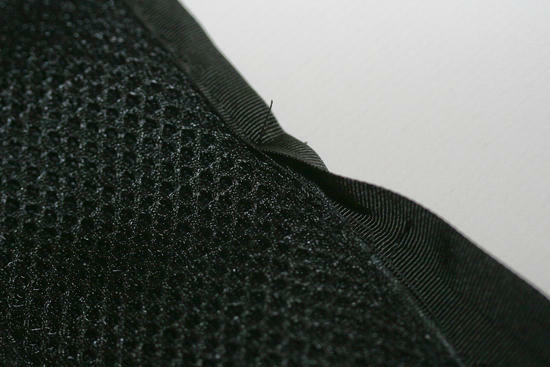 When you attach the strap to the pack I make sure to run a couple of bar tacks over the webbing so it is sure to hold. 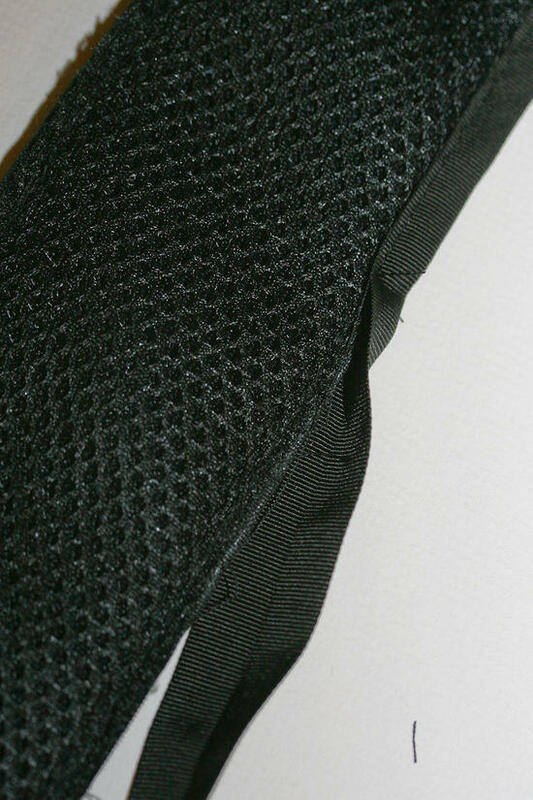 The webbing is the strongest part of the strap, the other material just disperse the weight of your pack. 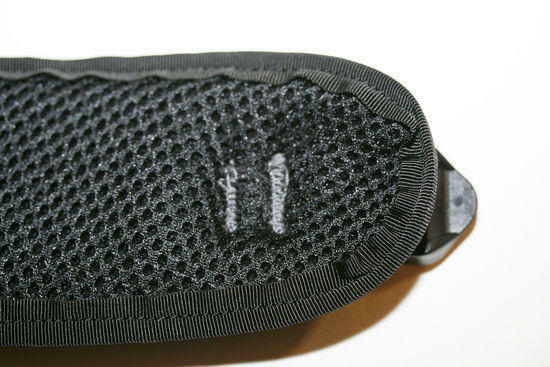 Here is a few closeups of the strap attached to the pack. So this is how I make my straps. I hope this will be useful to anyone thinking about making a pack. They are really fun to make, they just take some time planning. If you have any questions about any of the steps please feel free to ask! Awesome guide Chris! Thanks a ton for sharing that, I will definitely be using it on my first pack. Quick question, where did you get the exact shape for the straps? Was that just a common sense move or did you base it on something? how do they feel? I have seen a lot of different strap shapes, some with more or less drastic curves, and am trying to figure out the benefits of the varying styles. Thanks for taking the time to take the great photos and add the step-by-step instructions. Very helpful. I have a new pack idea in the works. The first thing I thought when I saw your was "How's he making those straps?" Nice Tutorial. Keep up the good work. Nice! Thanks for sharing! Any idea on how many miles before these straps flatten out? Hey thanks! Perfect timing. Have a pile of pack bodies without straps in the other room. Very nice. I'm bookmarking this thread for when I work up the gumption to get serious with the sewing machine. 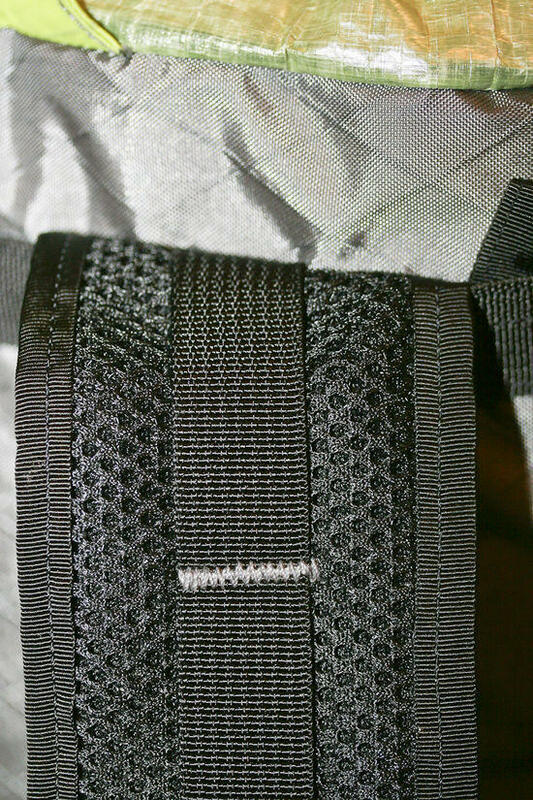 I've had a MYOG pack plan in the works for some time now, and was planning to just use straps from an old or damaged pack. Now i can make my own. Thank you for the step by step info. Thanks Christopher – This is extremely helpful! Hey glad to here this is helpful to others out there and I hope it encourages you to give it a try. 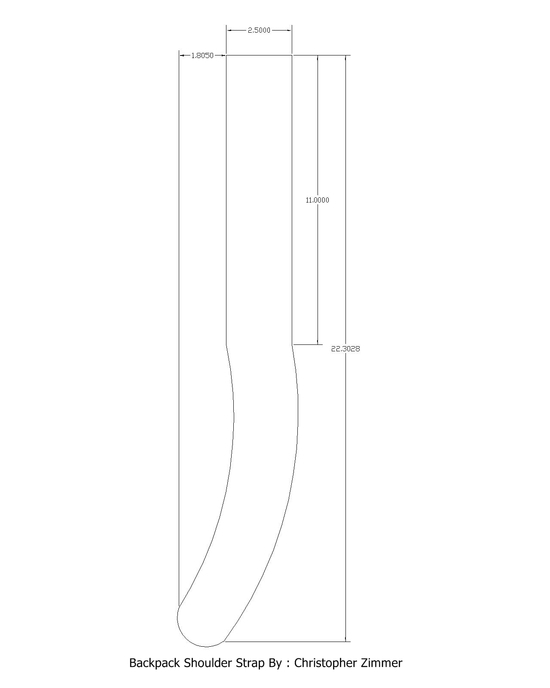 Here is a jpg of the general shape and dimensions of the straps I make. 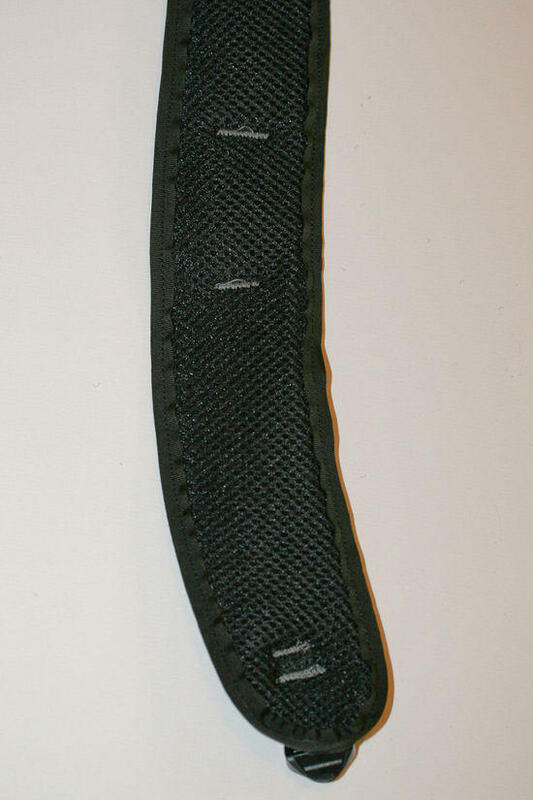 I like the strap to be around 2.5" wide 21" long. I have found that the bigger or harder the curve to the ladderloc, the better the straps lay with a chest strap attached. But hey give it a try and see what works for you that is all part of the fun! Chris, I saw your tutorial on the spade as well, very very helpful! Do you guys remember that show aired on Fox, about 10 years ago, called "Magic's Greatest Secret's Revealed"? This is like the same thing, but for MYOG. Freaking awesome. Do you know how much they weigh? 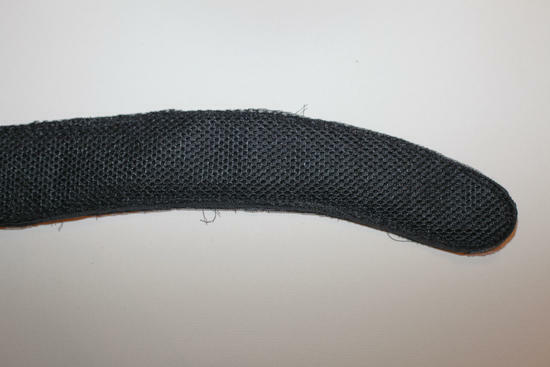 Would that 4mm mesh be stiff enough to lie flat under the tension of a waist belt? 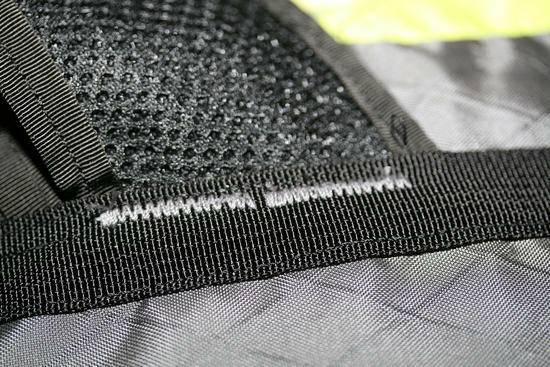 You could by all means leave the top layer of foam mesh off and just use the cordura or xpac or what ever fabric you wanted. It would take away from some of the padding, but you could always put in a layer of foam. I have tried some with a layer of foam, and they turned out nice but add more weight, so you have to think about what you want, less weight or padding. The weight of these are around 2.6oz for the pair, 1.3oz for each strap. I have tested them out with 25-30lbs, which is way more then I want to carry normally, in my pack and they stayed flat.